April 1st begins National Poetry Month here in the United States. You can look for or start events in your area. The official poster is available at Poets.org. They also have a list of 3o ways to celebrate the month. I like “Take a poem out to lunch” and “Put a poem on the pavement”. I am excited to have the following guest bloggers contribute poems which will be posted every day in April. I still have spots available. If you are interested please comment below. I’m so excited for April. Check back next Tuesday for all the fun. 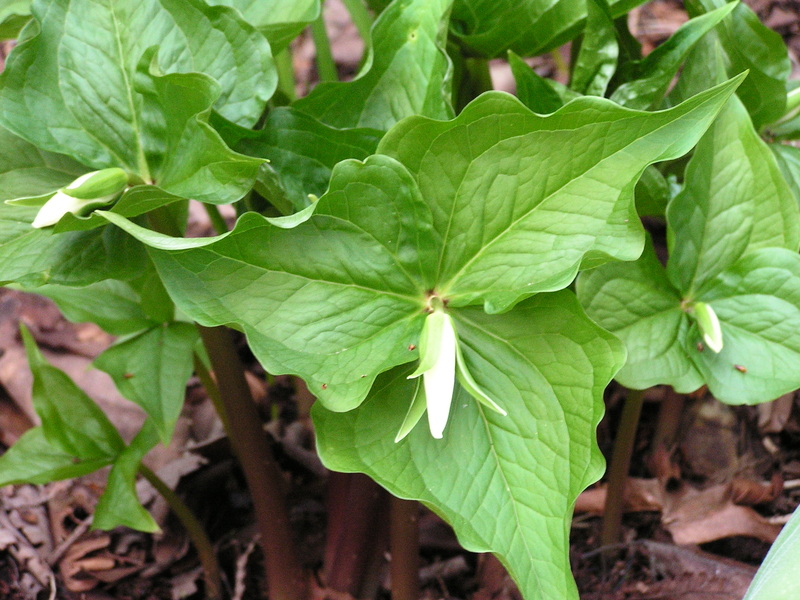 Spring is here – What are you waiting for? This morning I found this flower beginning to bloom right outside my front door. I smiled and thought, “Spring is really here.” The crocuses have come and gone already, which they say is always the first sign of Spring, but I don’t trust them. They often don’t know any better and come out without their coats on and freeze. I was noticing these buds as I was contemplating what to write today. Then it struck me. As with writing and many other things, we often find that life gets in the way. When that happens we sometimes have to just stop and truly embrace it. We need that. However, sometimes we find that what we think of as life getting in the way, is often just our way of procrastinating. I used to think that procrastinating was something that you did to avoid doing something that you really didn’t want to do. I’ve come to realize that unfortunately, it is also a way to avoid doing something that you love or really want to do. The thing that causes the procrastination is not the lack of love, but fear. There’s that terrible word. There is real fear when your life is in mortal danger and then there is that imagined fear; the fear of the unknown, of rejection, of disapproval, of not being perfect. These imagined fears are no less terrifying and they can often prevent us from doing what we really want to be doing with our life. The story below is one I wrote when I was trying to think of a short story quickly and couldn’t come up with anything. 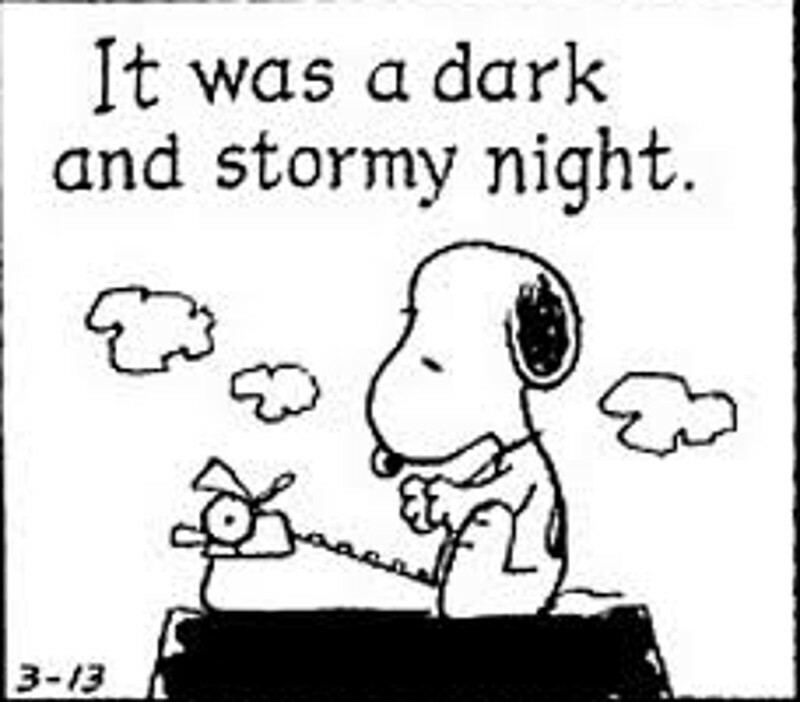 I also, have always loved that image of Snoopy sitting on his doghouse with his typewriter. Isn’t that the most icon picture of a writer anywhere? In the story, the man has writer’s block. He has been writing, but he is running out of time. Will life get in his way? Michael was sitting at his computer. He was staring at the blank screen. Where to start? It was a dark and stormy night popped into his head. Then he pictured Snoopy on his dog house sitting at his typewriter. That wouldn’t do. Ann came in behind him. She ran her fingers through his hair. Michael felt a shiver run up his spine at her touch. “Am I bothering you?” Ann asked coyly. Michael breathed out heavily through his nose. He didn’t want to be rude, but he was anxious to get some writing in this evening. “What are you writing about?” she asked, when he didn’t answer. “I guess that’s the trouble.” Michael ran his fingers through his brown hair, straightening the hair that Ann had ruffled. “They’ve been done to death,” Michael couldn’t help saying. “That’s crazy.” Michael stabbed at the keyboard. He typed “Title” and under it he typed “by Michael Jameson”. “That’s not much of a title,” she read over his shoulder. Michael raised his eyebrows at her. Michael felt Ann swirling the hair on top of his head with her finger. It triggered that spot in the middle of his back. He squirmed. He wanted to write something exciting, maybe a mystery or thriller. He’d need a tough character. Thoughts of Dashiell Hammett or Mickey Spillane ran through his head. Ann just didn’t fit in that picture. “You’ve never been anywhere foreign,” Michael reminded her. He felt like holding down a key, any key, on the keyboard, just so he wouldn’t see all that blank space on the page. “A ghost story!” Ann breathed with excitement. “Ghosts are so trite,” Michael said without thinking. Michael felt a stab of regret at the sound of her voice. He was going to pay for that remark for a long time. He turned in time to see her form vanish through the closed office door. He turned back to the computer in front of him, even though he knew it would be too late. He frowned down at the long hard nails and furry hands that hovered uselessly over the keyboard. Tomorrow will come for Michael and then maybe life won’t get in his way. I imagine that he will finish his story and makeup with Ann, because that will be his passion, what he really wants in life. What is your passion? What do you really want in life? April is National Poetry Month – Blog Anyone? Since April is National Poetry Month, I thought it would be fun to have guest bloggers post a poem a day in the month of April. This is not a contest and would be a non-judgmental fun way to celebrate National Poetry Month. Let me know if you are interested in joining me. I’ll take 29 posts from fellow writers. Just comment below if you would like to be included and I will get you the details. Hello all another short post. I’ll try to have a longer blog up soon. My book is now Live on Google Play. Thanks! Just a short post. Fellow author, Blakely Bennett, is having a Book Release Day Giveaway party on Facebook. Looking forward to it. For those of you that don’t know about the party, you can check it out on the link below and enter to win ebooks and other great prizes. 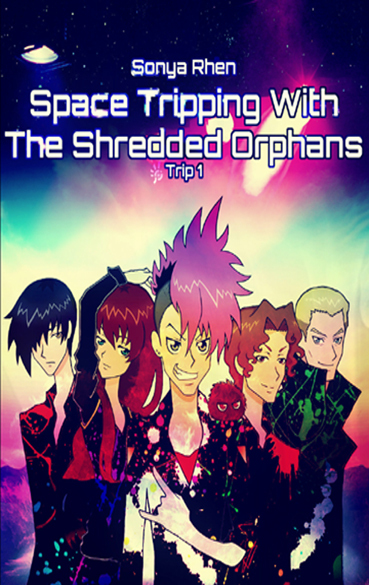 I have 5 ebooks of “Space Tripping with the Shredded Orphans” in the pot for prizes. Good luck!